Home»Articles»Two-wheeler Insurance»How To Check Premium Amount For Two Wheeler Insurance Online? How To Check Premium Amount For Two Wheeler Insurance Online? Technology has made it extremely easy to check two wheeler insurance amount before purchasing it. Top insurance providers have a two-wheeler insurance premium calculator on their website which enables quick calculation. You have to feed in basic information and it displays the approximate premium of your two-wheeler. Read ahead to know details about two-wheeler vehicle insurance premium calculator. What is an online premium calculator? Just as a regular calculator helps you to do complex calculations within seconds, an online premium calculator makes life easier when it comes to knowing your vehicle’s insurance premium. It is similar to a widget. The calculator fetches the information you have keyed in, analyses it as per its algorithm, and presents a value to you. What are the advantages of online premium calculator? This helps in making an informed decision regarding your 2 wheeler insurance. Which are the components involved in calculating insurance premium? Opting for a basic Third-party Liability policy or a Comprehensive Two-wheeler policy will have an impact on your insurance premium. Third-party Liability Policy is cheaper as compared to a Comprehensive Two-wheeler policy. If you choose to go for a Comprehensive Two-wheeler policy, you can enhance its coverage by going for suitable Add-ons. Opting for Voluntary deductible in addition to the Compulsory deductible will lower your insurance premium amount. No Claim Bonus (NCB) is a discount (while renewing the policy) given for not making a claim during the policy period. NCB matters in determining the premium while renewing your vehicle’s insurance policy. Which are the factors that determine Two-wheeler Insurance Premium? A sports bike will command more insurance premium than a regular bike. Thus, your bike’s brand and model are needed while calculating the insurance premium. Insurers ask the vehicle’s registration year as well. Cubic Capacity of your bike’s engine is also a key factor; this data is generally auto populated from the bike’s Make and Model information. Some insurers consider the car owner’s age to arrive at the insurance premium. Two-wheelers in metro regions warrant a higher premium compared to those in tier-3 cities. This classification is based on traffic density of a region which also plays a part in the rate of accidents of a location. It is not suggested to claim for low-end damages. Note that, if you make a claim during your policy period, you will miss out on your NCB. Thus, while making a claim, you need to compare the claim value with the NCB and decide accordingly. Also, keep renewing your policy in a timely manner to stay on the right side of the law and stay eligible for NCB. If you are cost-conscious, then avoid modifying your bike by adding extra fiber parts and other components. A modified bike generally demands a higher premium. All Add-ons might not be right for you. For example, you might not require a Pillion Rider Cover if you ride alone most of the time. 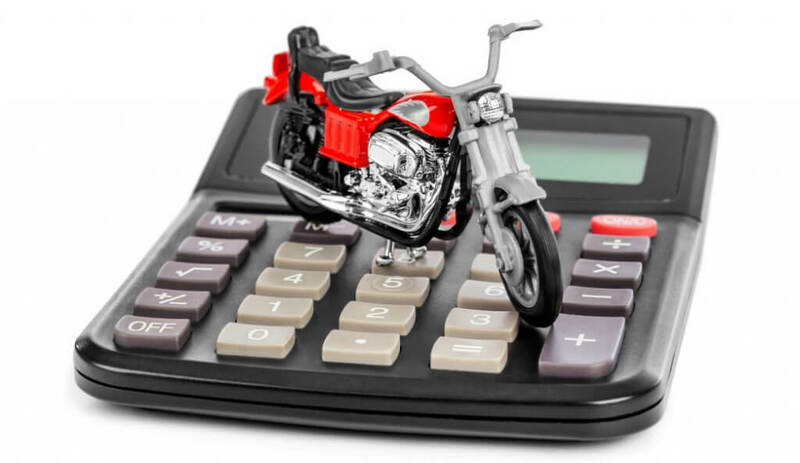 Online insurance calculator takes into account the above-mentioned components and factors to arrive at the two wheeler insurance premium amount. The components can be adjusted whereas the information regarding the factors needs to be provided accurately. The information goes into the official policy document when you purchase the policy, thus it is important to share authentic data with your insurer.